Fully equipped vacation rental cabin on Cattaraugus creek in Zoar Valley. 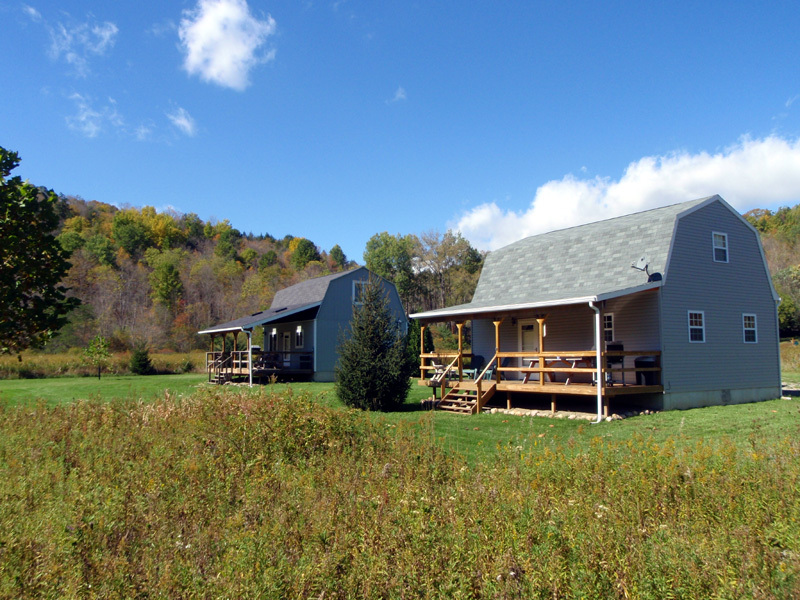 The cabin sit on 60 quiet & secluded acres with over 4500' of private streamside frontage on Cattaraugus creek. There are no steep or long hikes to get to the stream, and you can even park your vehicle on our private property just steps away from the Catt! Each cabin has a covered deck out back to grill & eat your dinner, watch the soaring bald eagles & enjoy a cocktail. 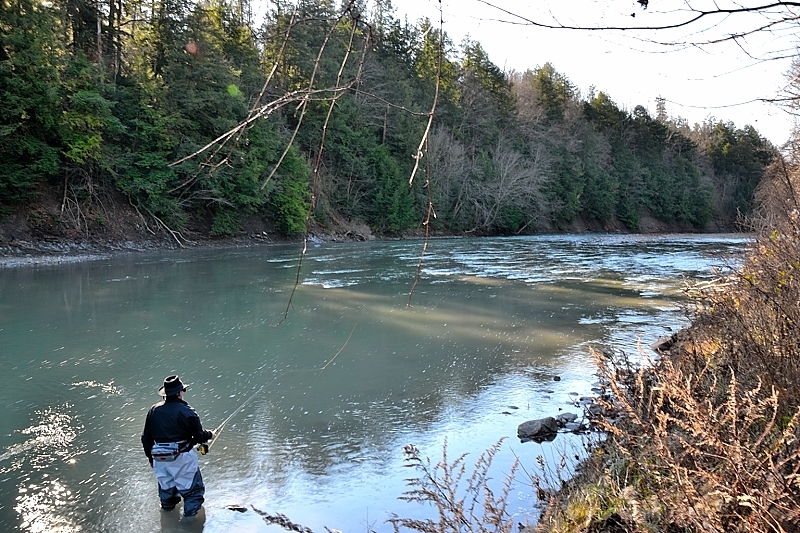 Great steelhead fishing is just a short walk from the cabins. Great hiking and canoeing/rafting is also available in scenic Zoar Valley. 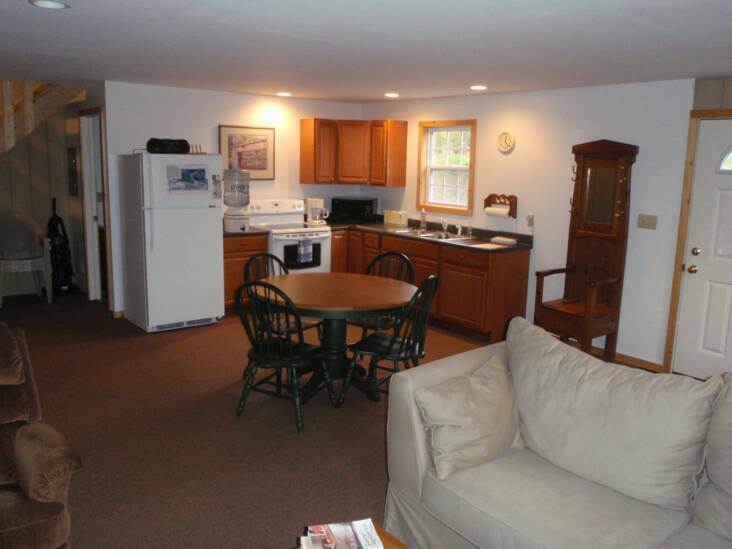 Cabin offers a full kitchen, living area, and full bathroom on the 1st floor. The bathroom contains clean towels and washcloths. There's a fridge, range/oven, microwave, toaster & coffee maker. Spring water is provided, as well as all cooking pots/pans, plates and utensils. There are couches and a coffee table in the living area, along with direct satellite television, a dvd/vcr and a small selection of videos. The covered back deck is equipped with a picnic table & propane grill. The second floor is divided into two bedrooms, with four single beds in one bedroom, and a full size bed in the other room. The bedrooms are prepared with fresh sheets, blankets and pillows. The cabin is fully insulated and heated. There's a fire pit out back for night time bonfires. 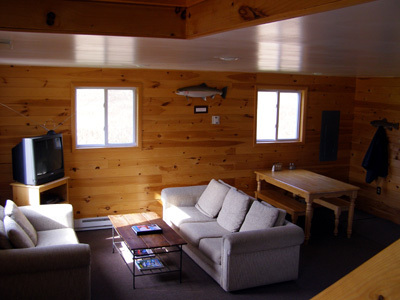 Our cabin is open all winter and available for diehard winter anglers, or for those who just want to get away from the crowds for a weekend. For an exciting rafting adventure down cattaraugus creek, check out Catt Rafting Adventures. Ellicottville and Holiday Valley Ski Resort, with great skiing and other outdoor winter activities, are 25 minutes away. Miles of snowmobile trails are accessible from our property. The village of Springville is four miles east, while the village of Gowanda is ten miles west. Fishing on our property begins after check-in, and continues until check-out time. There is a $50 charge for late checkouts. Fall/Spring rentals are for Fly Fishing, Catch & Release only. A $60 cleaning fee is charged for each stay and must be left in the envelope provided at the cabin. *Snowmobile trails are accessible from our property.